A Video and Photo Impression November 2011. A Video and Photo Impression of our Guitar Recital with Violin. November 2010. An Impression of our Guitar and Shakuhachi concert. 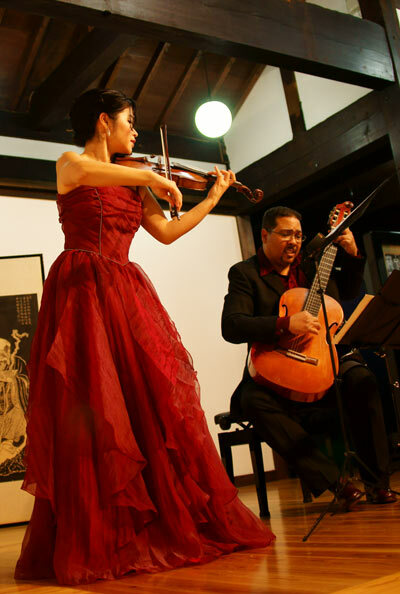 An Impression of our last Violin and Guitar concert in Osaka. Diangelo's SACD New Dutch Guitar Music can be bought through this site. Also please check out the reviews about this SACD. "a highly accomplished niche performer", Classical Guitar Magazine. Reviews about performance and the SACD.